Bunzel’s is here to help make any occasion – big or small – a success. 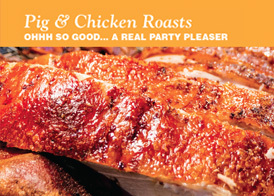 To get your party started, take a peek at our list of menus for our most popular party options. See something we don’t have but you want? Let us know, and we can most likely cater to any of your dietary needs or personal preferences. We are here for every step of your event catering process. Whether you are wondering how much to order or want to know more about catering details, Bunzel’s has the answers to all your catering questions ready for you. 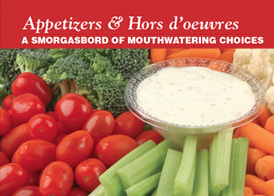 Choose from our variety of fresh finger foods to get your party started. With our guilt-free, bite sized snacks, you can’t stop at just one. Make these a precursor to the amazing meal you have to follow, or just have your guests nibble on an expanded array of appetizers throughout your event. 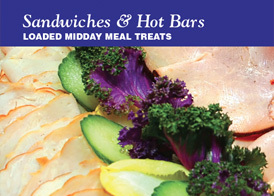 We have everything from bountiful fruit and veggie platters to cocktail size sandwiches. 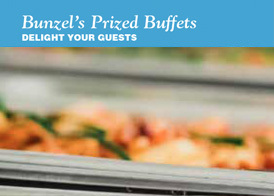 Whatever you choose for your event, when it’s Bunzel’s, it’s sure to be a crowd-pleaser. Hot or cold? The choice is up to you. The menu is drawn from some of our most popular items to make ordering a snap for you. It really doesn’t get easier than this. Pick and choose from our variety of delectable Bunzel’s favorites. Whether you’re looking for the most cost-efficient buffet option or want to know a little bit about Mrs. Bunzel’s favorites, the traditional buffet is the best choice for you. It has all the makings for a hosting a stress-free event with any of these three meal options. Let your guests choose from a rich variety of our homemade options. 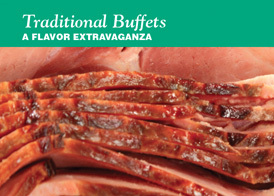 With six abundant buffet choices, your guests will be treated to an exceptional meal. 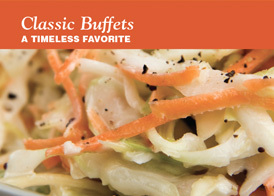 No worries about guests going for seconds of their Bunzel favorites – we have you covered. 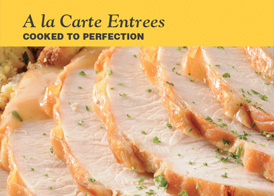 With a dozen meats to choose from, let Bunzel’s handle the main entrée at your next event. 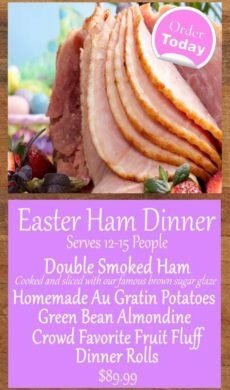 Depending on the size or your party, buy it per pound or in a 5lb pan for everyone to enjoy. Your guests’ taste buds will be overjoyed with the mouth-watering gravies and glazes accompanying the meats. The sides can make the meal. 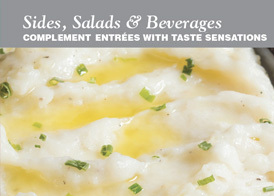 Picking the most delicious pairings to complement any meal or party menu is made easy with our sides and salads spreads. From pans of buttery mashed potatoes with gravy to our tangy deviled egg potato salad, there are loads of options to choose from. Tickle your taste buds with a heavenly Bunzel’s lunch. Give your guests the ease of receiving a classic boxed lunch, or let them create their own midday meal with the choice of a Sandwich Bar, Italian Bar or Taco Bar. A Bunzel’s lunch will give your guests the ability to power through the rest of their day. Make your cookouts and tailgates the most relaxing place to be this summer. Beat the heat with friends, fun, and fabulous Bunzel’s food. All you have to do is make the invite list, Bunzel’s will take care of the rest. 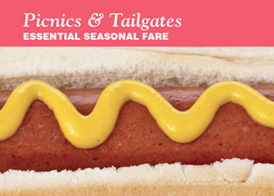 Consider including one or more of the most popular Bunzel items — Honey Mustard Cheddar Brats, Creamy Coleslaw and Sweet Corn on the Cob. Whether you’re feeling a little adventurous and want to try out our Roaster on your own or just want to let Bunzel’s do the cookin’, you and your guests are sure to end up with a delicious pig or chicken roast on your plates. Sweeten up your day with some of our tempting Bunzel’s favorites. You’ll have your guests running back for more melt-in-your-mouth goodness. 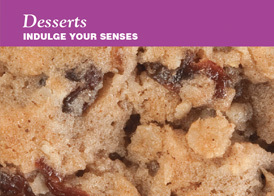 With choices like Raspberry Crunch Bars, Turtle Brownies, and Cheesecake Bites, it may seem impossible to choose—but rest assured all of our treats are baked to the perfect softness, texture, and taste. There really is no wrong choice! 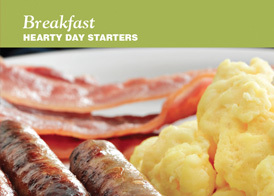 Start off a group’s day with a hearty Bunzel’s breakfast. Choose either to boost the room’s energy with a warm combination of Bunzel’s breakfast items, or go with a classic, quick and easy continental breakfast. If our delicious morning meal isn’t enough to get the day going, grab a cup of coffee that will surely awaken the group’s senses!